culinary scene, and the Gold Coast's famous theme parks. Today Gold Coast is a popular resort city for both Australia and foreign visitors. Just a beautiful stunning city on the beach. If you want that beach feel in a great urban city, this is definitely the place. I've been to Gold Coast back in 2007 Dec. I felt like I was in Miami south beach, same weather, same atmosphere with lots of high rise modern apartments. The beach was decent. The Gold Coast is downtown high-rises clashing with an almost endless white sand beach. It's a bit soulless. Nice Experience. I flew to Gold Coast and stayed 4 days in this area including 1 night in Brisbane. Gold Coast is big but it`s too comercial and in my opinion that`s their weakness, too many tourists. On the other hand there are several beautiful beaches and good structure to receive this people. You can not make your opinion of a country visiting only one city and Gold Coast is a place you must go in Australia. 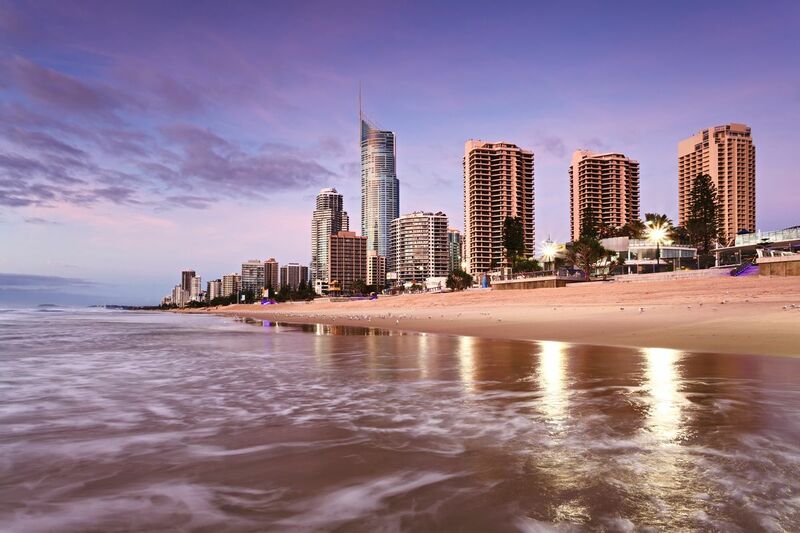 All the glamorous attractions aside, the reason why Gold Coast is such a great place is because of their beach. The sand is soft and firm, perfect for long walk and run. Weather is pleasant year-round, and water is just gorgeous. went to lake moogerah to watch the STUNNING milky way and i managed to catch the sunset while driving there, it was MAGICAL. I really enjoyed the beaches here, from the airplane i saw people in the water at 7am in the morning. Weather was amazing and water wasn't too cold. The sunny and beautiful Gold Coast of Australia is very popular with tourists because of it beautiful white sand beaches. This place is definitely set up to cater to a tourist population. Gold Coast is probably the best city in Australia and among the best in the world.